This one is from October 16, 2017. I promised the Mother that I’d say more about heart openings, given that she’s predicted one for the planet at a time of her choosing. We have several hearts. 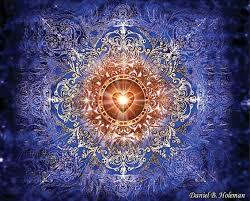 The physical heart, the heart chakra, the “high heart,” the spiritual heart, etc. I’m only speaking about the spiritual heart. The spirit occupying a physical body from birth to death normally exists with no access to the spiritual heart. The heart aperture which Hindus call the hridayam, which opens into the heart, is normally closed. So just to be sure: I’m not talking about an attitude of “open-heartedness” or “close-heartedness.” The normal Earthly, human condition is to have a closed heart aperture. Those for whom the heart is permanently opened are ascended beings. Those for whom the heart has opened and then closed again are relatively small in number. Those for whom the heart has opened and remained open – and they have remained in this dimensional setting – are probably infinitesimal in number. Not infinitesimal in the higher domains. Just here. I can think only of Ramana Maharshi and the avatars (Ramakrishna, Buddha, Shankara, etc.). When the heart opens – and the Mother has said it may feel like an explosion or implosion – whether immediately or later, we’ll experience a torrent of love that will wipe us clean, for however long the experience lasts. It’ll leave us in a space where our heart becomes an artesian well, gushing up love which we feel powerless to do anything else with than share with everyone around us. By its nature, love is universal. It makes no distinctions. It cannot be otherwise by the nature of love. This next section may be review to many. Skip it if you like. Apparently, by the old system of reckoning, a heart opening would be reckoned to be the first stage of enlightenment on the road to Ascension. I know the archangels are not following the old system, but let me restate it, if only to provide a standard for comparison. When the kundalini reaches the fourth or heart chakra, we have a heart opening, an explosive or implosive experience of love bursting its bonds. Hindus call it spiritual awakening; Buddhists call it stream-entering. We’ve entered the stream on our way to the other bank. When the kundalini reaches the sixth chakra, we have an experience of being one with the Consciousness pervading the whole world – the Divine Mother. Some call the experience cosmic consciousness. Some call it savikalpa samadhi – still mind/trance state while still apprehending form. When the kundalini reaches the seventh chakra, we have an experience of the Consciousness transcending the world – the Father. Some call it Brahmajnana or God-Realization. Some call it (Kevalya) Nirvikalpa Samadhi – still mind/trance state with no apprehension of form. Next the kundalini opens the heart permanently in an experience called Sahaja Nirvikalpa Samadhi (“Sahaja” means “natural”). This event is mukti or liberation from the life-and-death cycle of Third Dimensionality. This is the end point of Earth’s current Ascension out of the Third and Fourth Dimensions and into the Fifth and higher. If your everyday experience is simply so-so and you suddenly find yourself in an internal “tsunami of love,” it can frighten the wits out of you. Did someone slip you a drug? Are you losing it? Where is it leading? No one slipped you a drug. You’re not losing it. It’s leading only to more and more love and greater and greater depths of it. The only thing you lose as a result of drowning in the tsunami of love is your fear, your anxiety, and your resentments. The tsunami sweeps them all away, never to return, as long as your experience of the tsunami lasts. After the culmination of Ascension, it’ll last. From now until then, a heart that opens can again close. If the heart does not close, that’s the signal that you have well and truly completed the journey. We’re all going to that endpoint. My understanding is that gatekeepers and pillars have agreed only to travel back and forth through the Ascension portal, rather than ascend permanently, until later. What is the experience of the internal “tsunami of love” like? We use the same word “love” to cover situations ranging from our taste in ice cream to the most sublime of spiritual states. When one person says “love,” other people may hear it at any range from the mundane to the sublime. The kind of love we experience after a heart opening is not only torrential; it’s the most satisfying experience – along with bliss – that I can think of. As it happens, we seem to be most stirred, moved, and activated by what happens inside of us – chiefly our feelings, but also our desires. Love turns out to be everything we’ve been seeking in that our internal states are all uniformly satisfying. That’s why loving people seem so happy. Introduce higher-dimensional love into our field of experience and our interest in all else falls away. It feels so uplifting that we forget about any cares or concerns we had. It’s more intoxicating than any drink, more satisfying than any drug. It never seems to fail to delight. It’s as Yogananda said: Ever-new. I’ve never grown tired of love or wanted something different. Oh yes, I almost forgot. Things go better with love. Nuff said. Mother have I done the job? I could only do it by looking at things from my angle. If anyone else has a view from theirs, send it along.